In my previous blog, I discussed about the introduction to Continuous Integration and Deployment and further I demonstrated how to setup contonuous integration using TFS with series of steps. Link – Set up the Continuous Integration using TFS. We will now discuss about How to setup Continuous Deployment using TFS. In Continuous Deployment (CD) once the developer commits the code it will go to production without any manual/human intervention. In this, you keep on getting the feedback from the customers and thus can focus on building software and eventually can see their work go live. After the build definition is done, the deployments are done with the release definition. 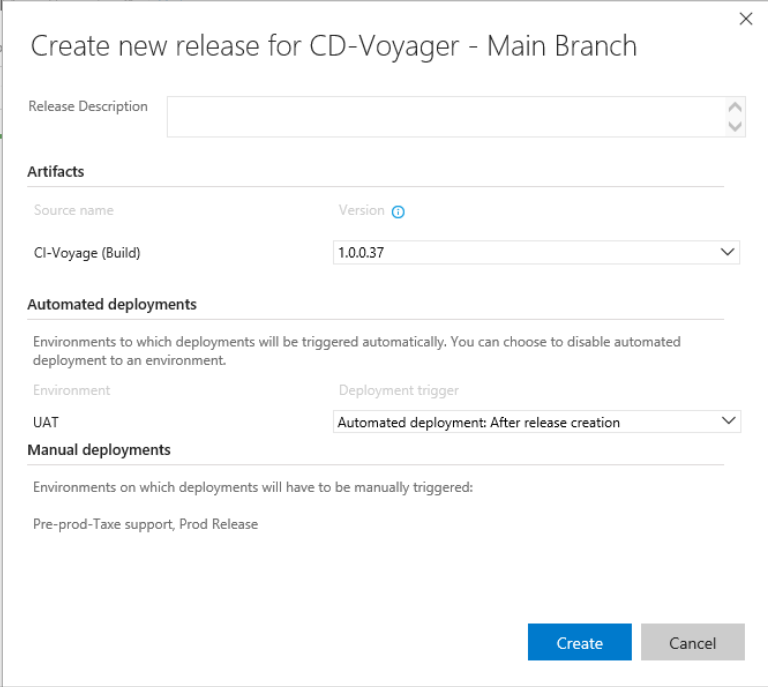 For the Build & Release section in TFS, navigate to the Releases section and create a new release definition. Choose the option Empty, to start with an empty definition. After this choose the source that publish artifacts to be deployed. 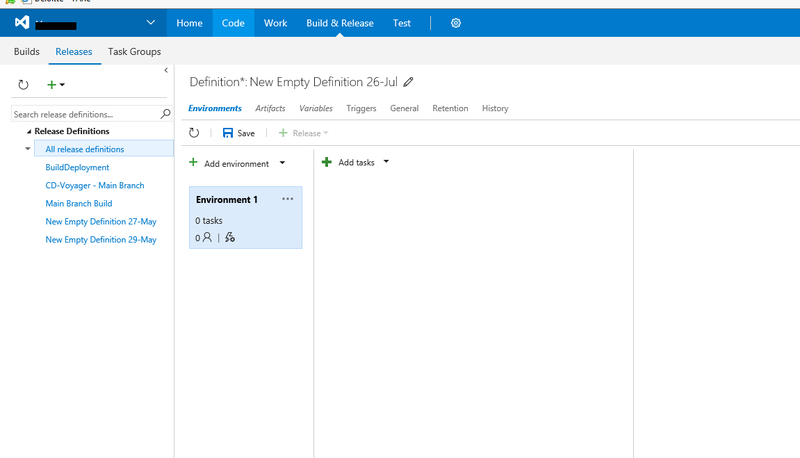 For the Release definition, add the multiple environment and tasks for that environment. 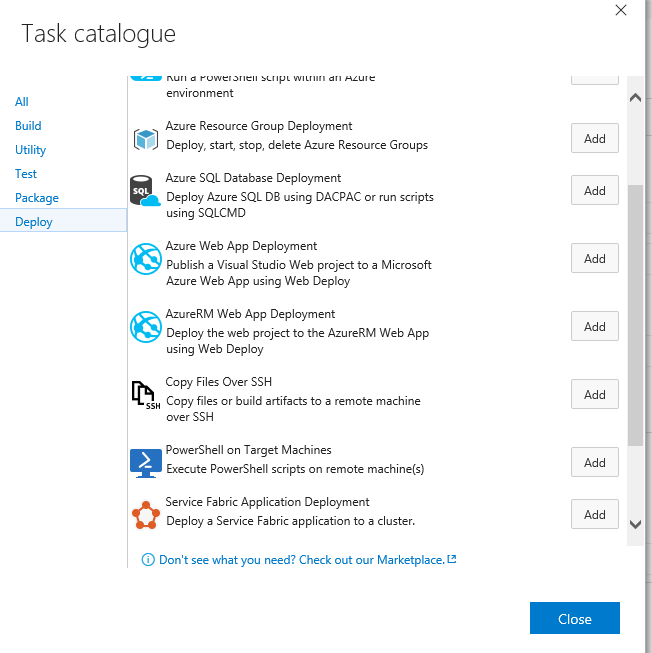 Select from the Task Catalogue various options for Build, Utility, Test, Package and Deploy based on the Project needs. 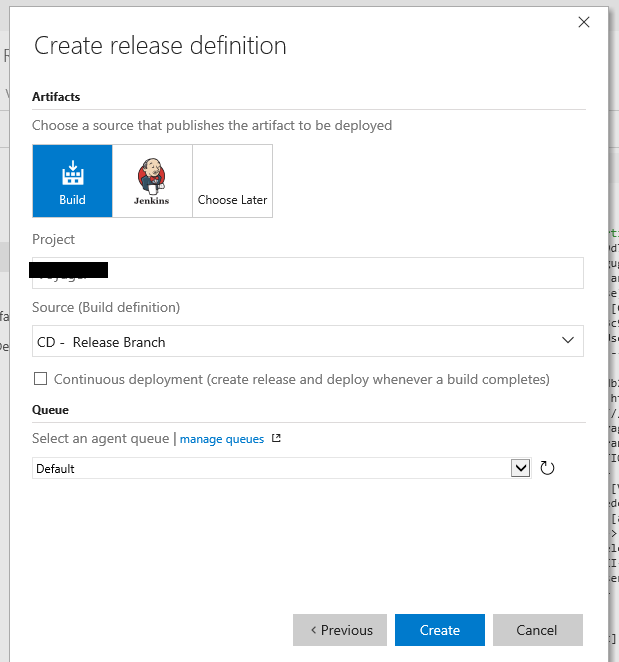 After creating a new release definition, a new release can be created in the same. When the release is created the build is deployed to different environments. After creating the different environments and running the release definition. The complete summary for the Release definition. With the CI & CD implementation using the TFS the build process is easy to handle and more effective testing on frequent builds can be performed. With the Team Foundation Server the CI & CD is possible and this is always good to use with TFS the automated build deployment as the projects which are currently using the TFS only the Admin permissions are required to set up the CI & CD for the project and the build process can be handled effectively there is no need of any separate tool.